Hello everyone! Finally back for blogging anyway. I'd like to share my experience using CC Cream by Rachel K! Are you already familiar enough with CC Cream? 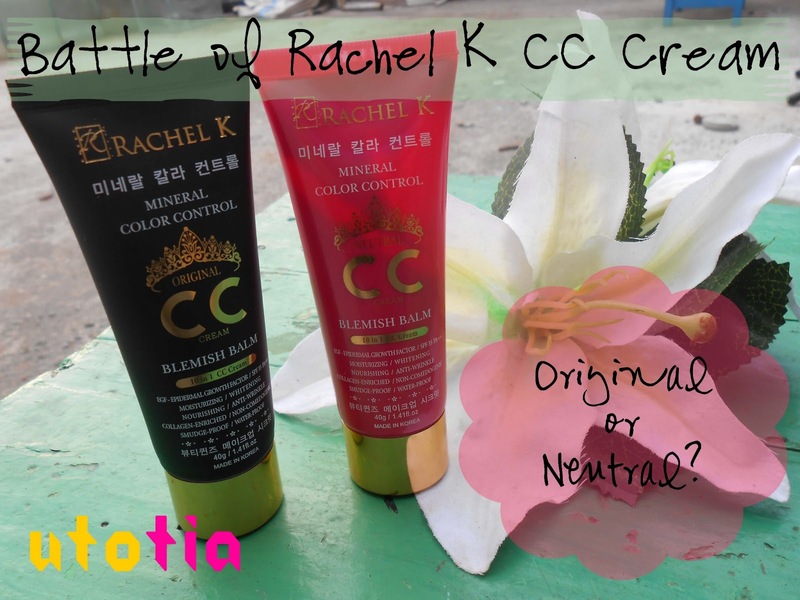 Rachel K was the pioneer for introducing CC cream to the beauty market. 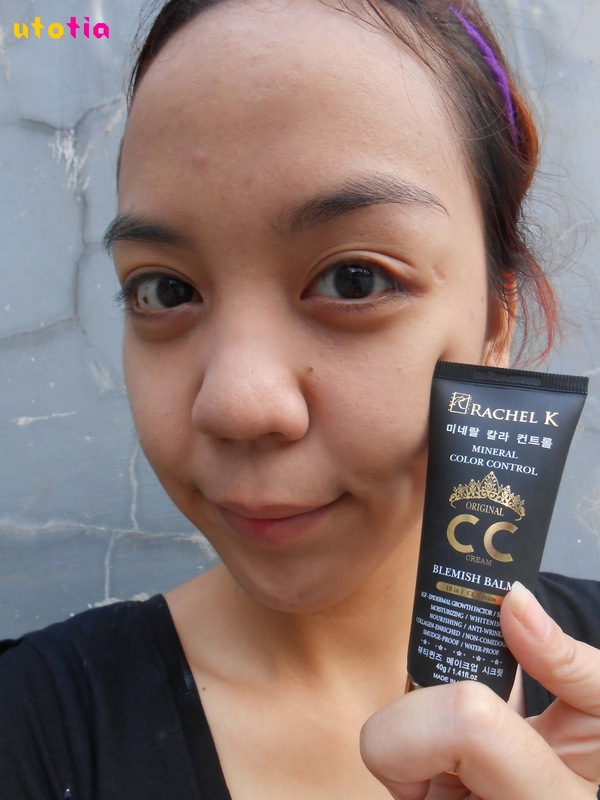 For those of you who are not familiar enough with this brand, Rachel K is a beauty brand originally come from Singapore. The founder of this brand is Miss Rachel Kum, a former Miss Singapore. 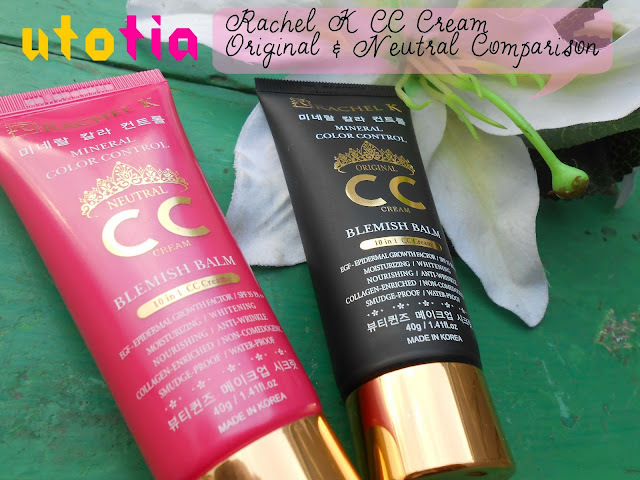 Rachel K is very well known because of the introduction of CC cream. Okay, enough with the brand introduction, now I will review both shades that Rachel K CC cream has; Original and Neutral. 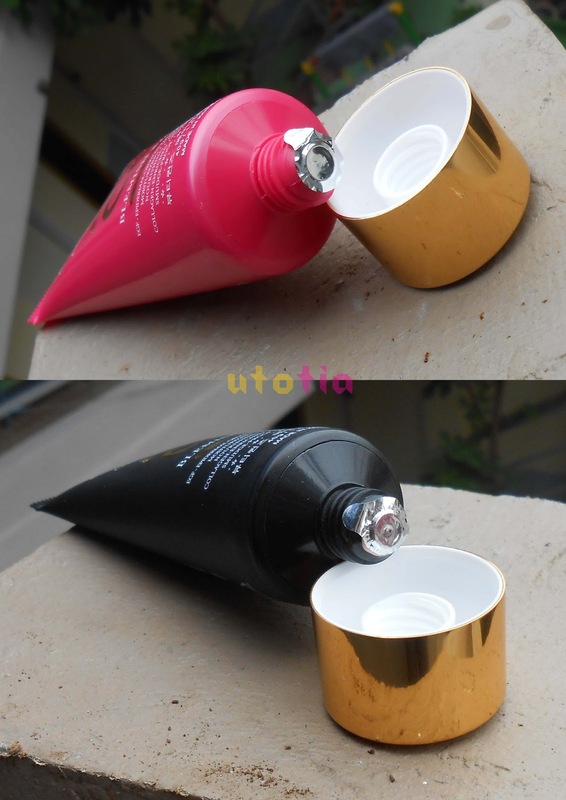 Original has black, elegant-looking packaging, while the Neutral one looks really cute and stylish with bright pink tube packaging. Both shades come in tube packaging, only different color. 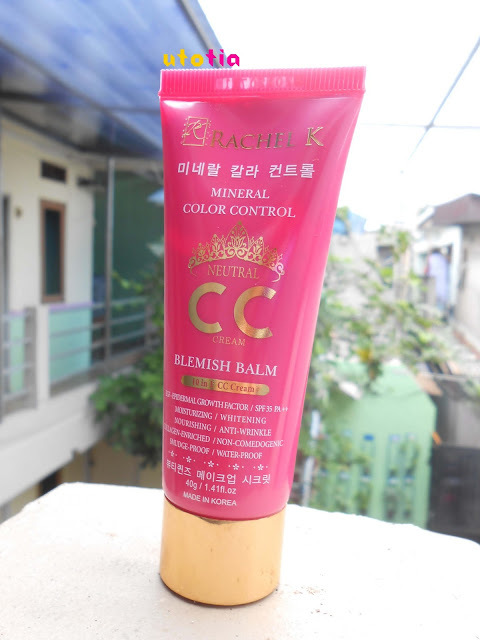 The whole packaging comes with carton box with similar color to each tube. It comes in single 40g size. After observing the whole packaging of both shades (ingredients, benefits, how to's), the only difference of both shades are the color and finish. So, this product mainly consists of silicone and its derivatives. 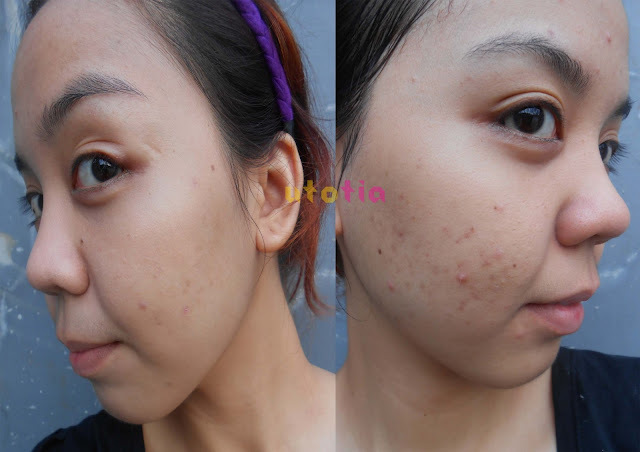 Silicone is good to maintain your skin moisture as it will prevent the moisture from escaping.But you have to be aware of the bad of silicone for acne-prone and sensitive skin, as it often told as the main culprit for breakout and redness. 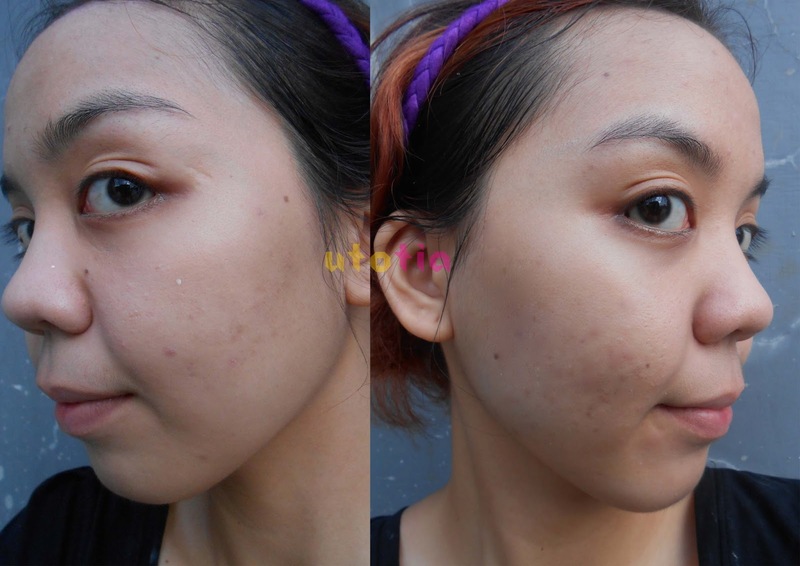 As for me, with my acne-prone, combination skin, I haven't experienced any major breakouts or any signs of skin abnormality after using this for around 2 weeks. 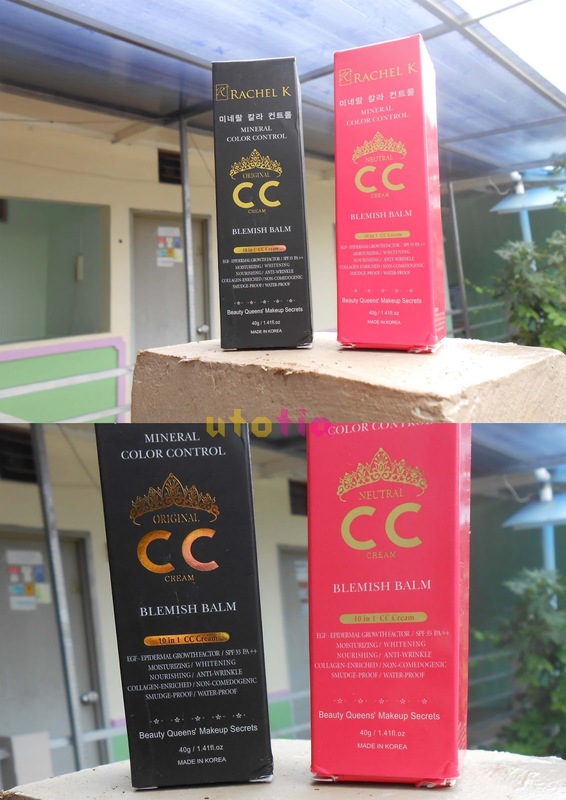 As for the packaging, both of them come in simple,conventional tube packaging. Actually this is kinda old-school, and yes... unhygienic. Honestly I prefer the airless pump packaging because I find this kind of packaging as a little hassle. I bring either one of the shades everytime, everywhere I go. I put it in my makeup pouch usually. And I always find the cream to be spilled out inside the cap because the texture is a bit runny. So messy. The texture, as I said before, is a bit runny for a cream. 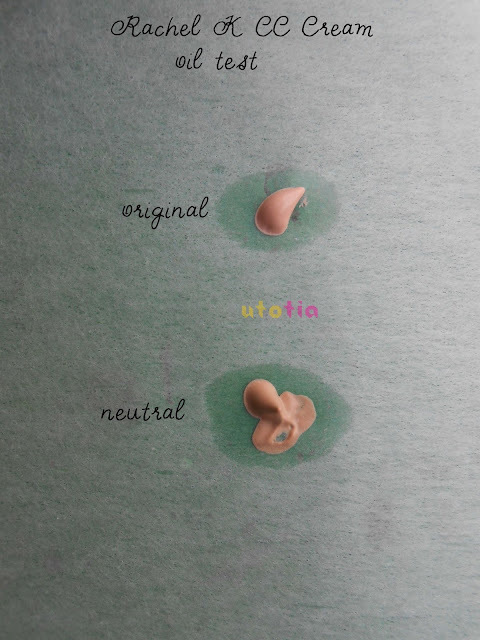 For original shade, it's close to liquid, while neutral has more creamy texture. The oil test done above shows that neutral is more oily than original one. 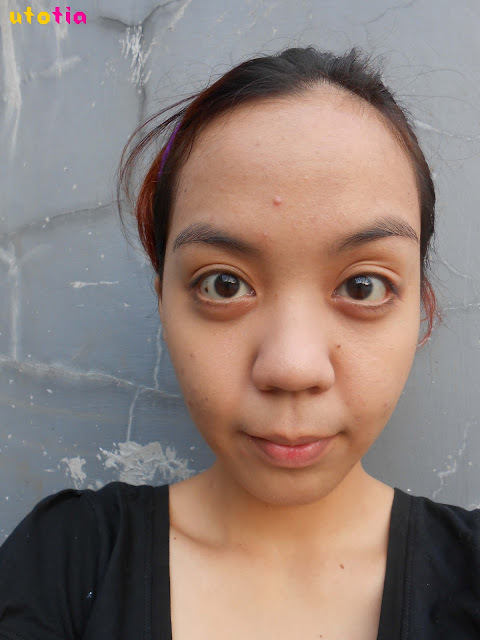 As for the shades, the neutral shade suits my skin tone PERFECTLY. It looks like my second skin, just better and even. 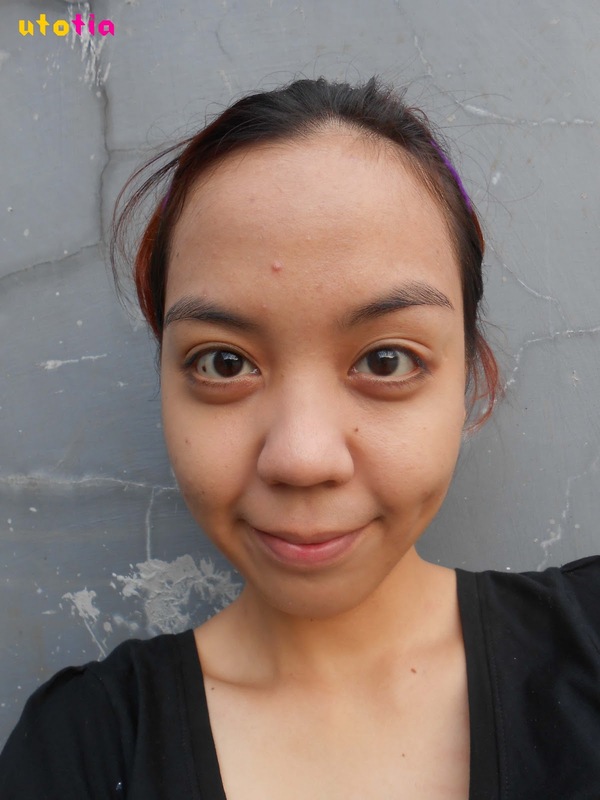 On the other hand, the original shade does the job to give brighter, dewy-look skin. 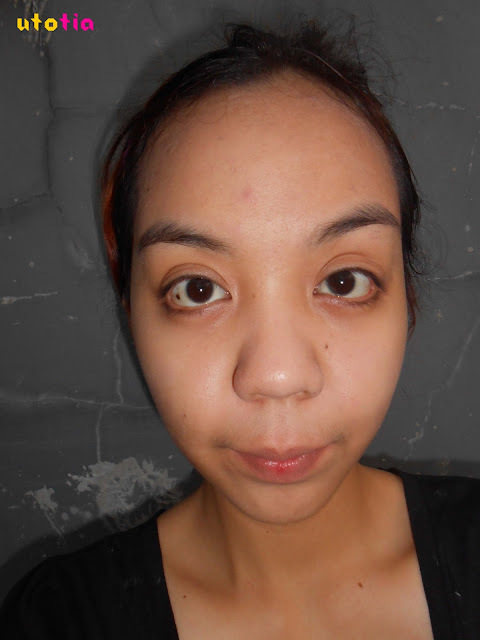 As you can see below, after blended, the neutral shade blends perfectly while original one gives brighter finish. So, let's see how do they look like on my face! 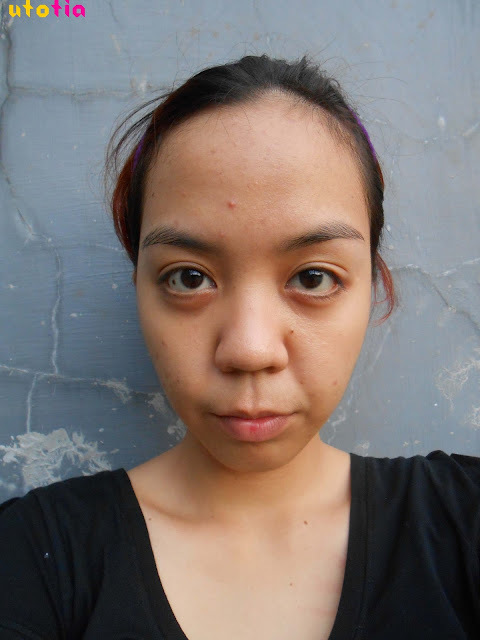 I have this medium skin tone with warm undertone. I have few blemishes, dark spots (acne scars) and one big pimple on the forehead! Oops, don't forget the tired looking eyes. So, these are the results! It does the job of even out my skin tone. Besides, it looks very natural on me. Looks like I don't even put on anything on my face! For the coverage, I should say that it has sheer coverage, but it is able to cover up few dark spots on my cheek. 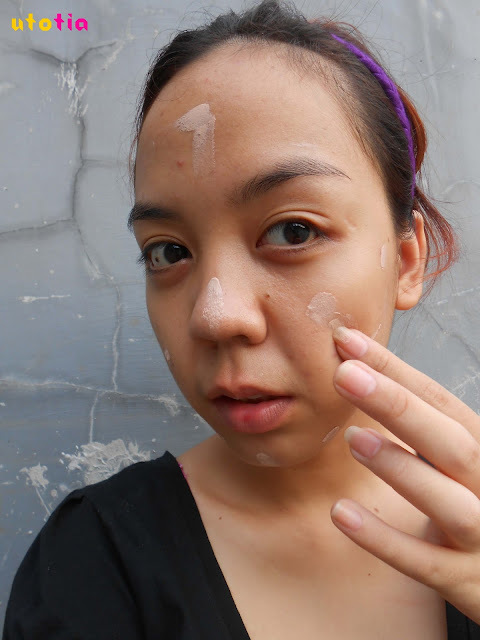 Besides, I love how smooth my skin after putting this on! 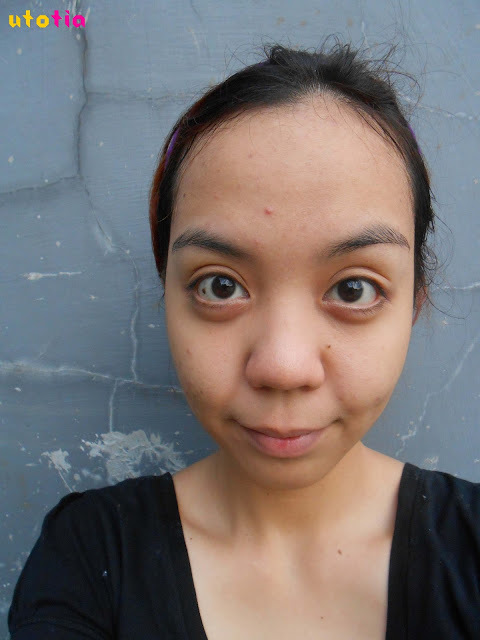 It does a good job covering up the pores too. The staying power is surprisingly great, I mean, after those long hours (usually 6-8 hours) of doing my activities outside, it is still there! Though with a bit oil, LOL. And not to forget that this shade has matte finish. Good for those of you who are the fan of matte finish and have oil issues. Now, let's move on to the Original shade! still same facial condition! only with better looking eye, LOL. Maybe I got better sleep this time. Yiha! I love the result! 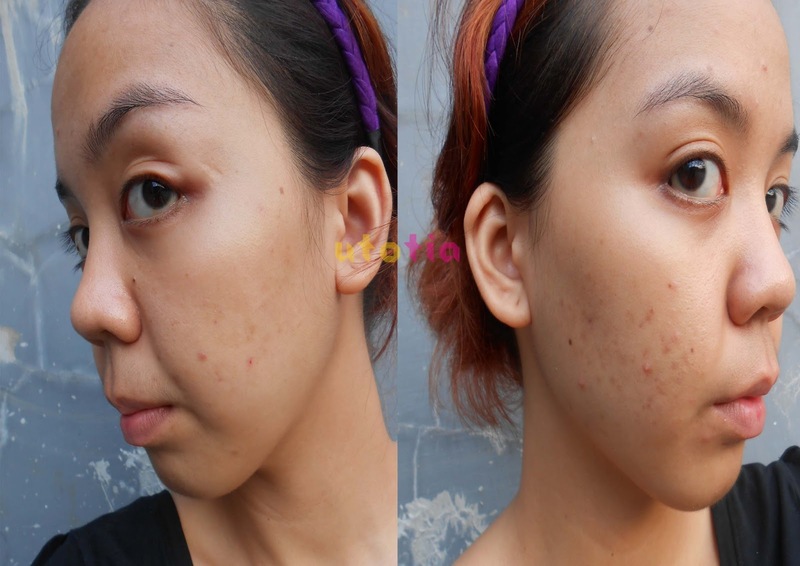 It gives me brighter, dewy-looking, look! Yeah, I've always been a fan of dewy look. I hate matte finish anyway, except for party or special event. Unfortunately, this shade has way less coverage than any other cream I've ever tried (BB cream, tinted moisturizer, etc.). 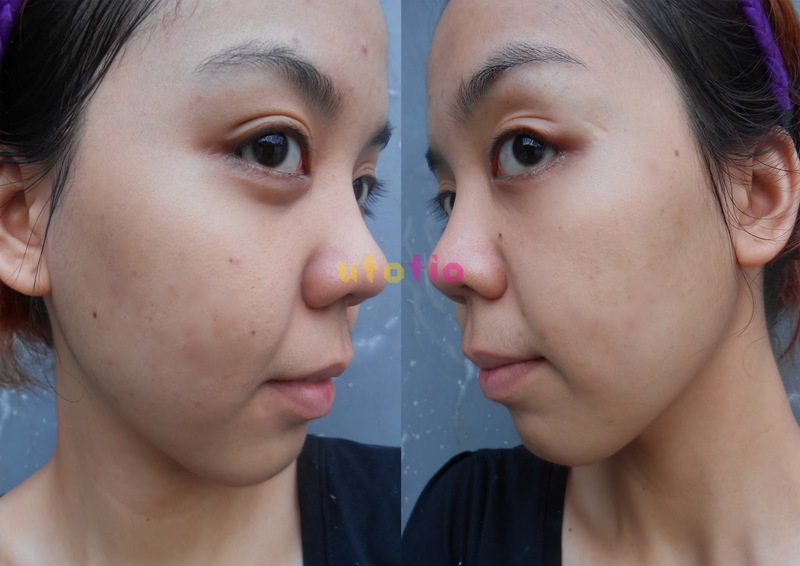 But, it's good for daily, or even can be served as make up base. 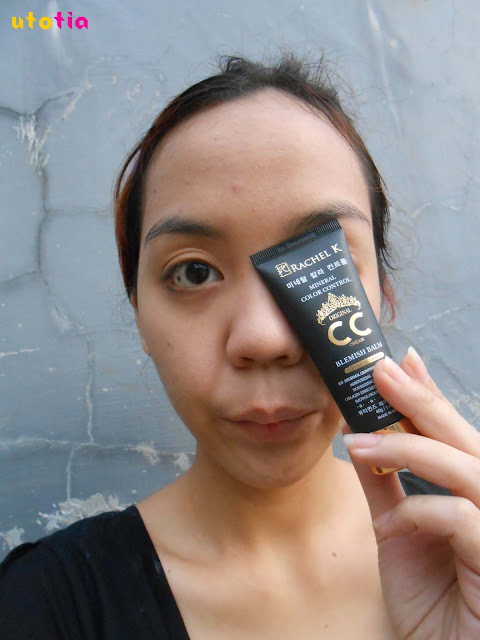 As you can see, this CC cream doesn't cover any of my acne and spots. Still very much visible, right? 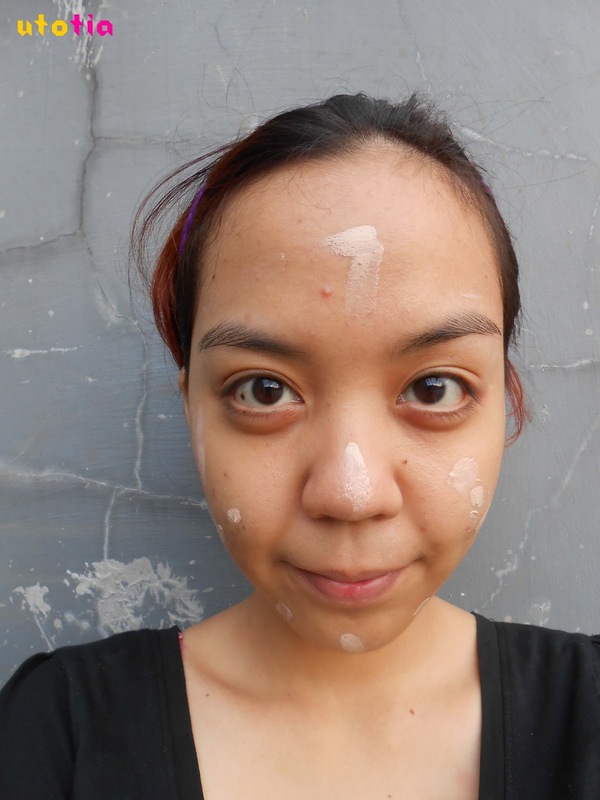 But, it does good job too in covering my huge pores, so I still fall hard for it. 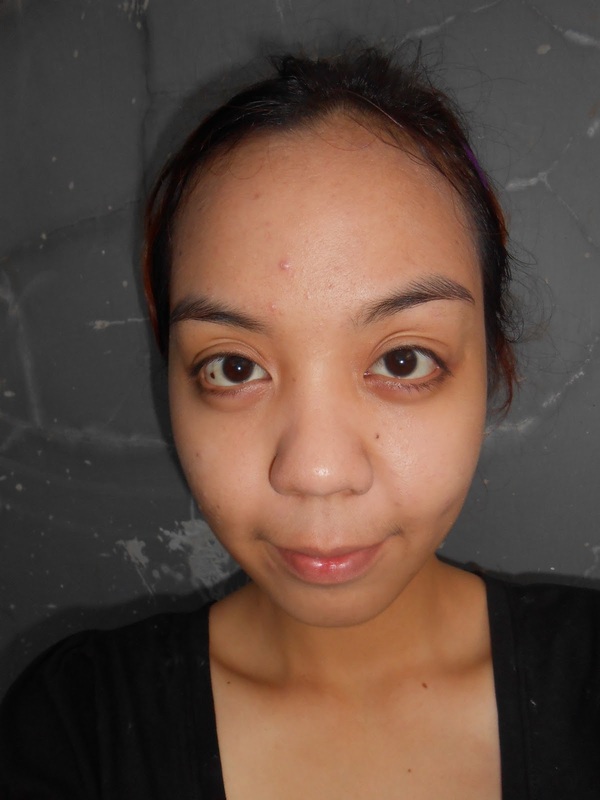 Because it gives me brighter looking face with dewy-finish, which I love the most! It's best used when your skin doesn't have any medium-level problem (breakouts) or as your make up base before BB cream! Anyway, you guys still remember that I am currently hosting a giveaway with RUIE right? 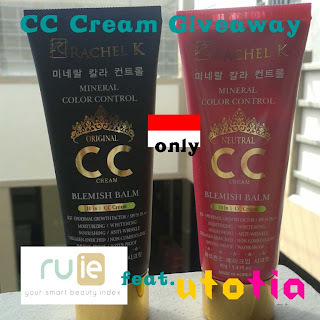 For (only) all Indonesian readers, you can win your chance to win one of these Rachel K CC Cream by entering the giveaway below! Don't forget that you can also purchase these Rachel K CC Creams at RUIE! They have ready stocks for it, so no more waiting (preorder)! There will be 2 winners chosen, one will be randomly picked and another one will be picked based on quality of answers! Sip dew, hihihi good luck! coveragenya mending yg mana tia?